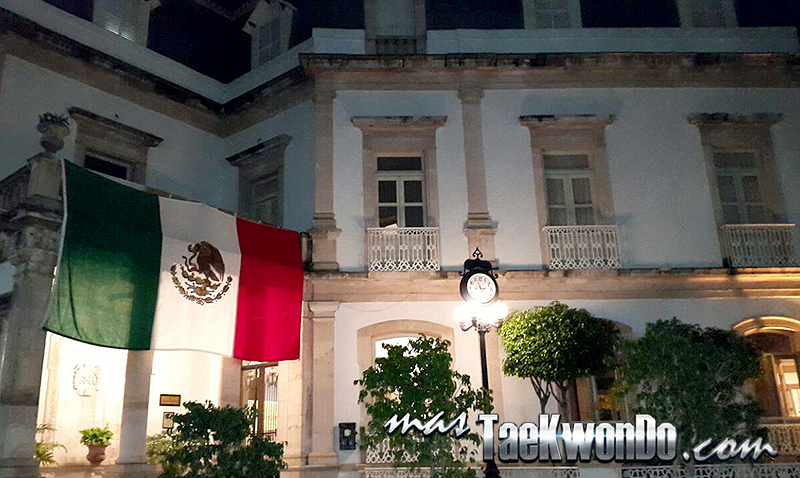 Aguascalientes, the host city for the series of international events, is ready to welcome the athletes. MasTaekwondo.com is also ready to tell you all the details. Aguascalientes, is located in North-Central Mexico. It is bordered by the states of Zacatecas to the north and Jalisco to the south. Its name means “hot waters” in Spanish and originated from the abundance of hot springs in the area, the corresponding demonym for the state and its inhabitants is “hidrocálido”. Very near the Hotel Gran Alameda, the host for this event, which by the way has old-French architecture, there is a resort where people can still find the medicinal hot waters. The sporting atmosphere is felt since the moment one arrives at the airport where volunteers are welcoming the delegations. The action starts today when the accreditation process will begin. Delegations began to arrive at the various hotels designated by the organization, while the referees and officials will do it at the official hotel, the Gran Hotel Alameda. “We expect that the venue will exceed what we saw last year in Puebla for the World Championship, and additionally this event will help us to organize the next World Poomsae Champonships”, said Reynoso. The Gimnasio Olimpico de Aguascalientes, the official venue, is located 500 meters from Gran Hotel Alameda and masTaekwondo.com will tell you every detail of what happens. The Mexican athletes and coaches gave an interview yesterday to a local newspaper in which they invited the general public to attend this big sporting event, promising a great show. There is a press conference scheduled for next Thursday where Mexican Authorities and the State Governor will give the information about this important event for the city of Aguascalientes.